This study examined the effect of dietary insoluble and soluble non-starch polysaccharides (NSP) in common broiler diets on performance and ileal and excreta moisture contents in broilers. 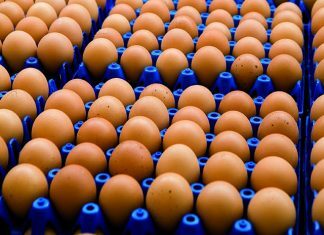 These effects were assessed by feeding 24 diets with varying levels of insoluble and soluble NSP to broiler chickens from day 21 to day 28; insoluble NSP level ranged from 60.8-220.7 g/kg and soluble NSP ranged from 8-14.6 g/kg. Dietary insoluble and soluble NSP level had a significant impact on feed conversion (P<0.001) and ileal and excreta moisture contents (P<0.001). 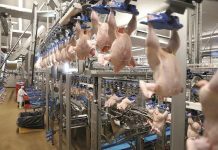 The feed conversion ratio and feed intake were highest, and digesta and excreta moisture contents were high, in birds fed the diet with the highest insoluble NSP and high soluble NSP contents. Strong relationships were observed between dietary soluble NSP content and ileal and excreta moisture content. The optimum diets contained a combination of soluble NSP ranging from 6.24-6.72 g/kg and insoluble NSP ranging from 176-182g/kg, based on observed low FCR and high digesta and excreta dry matter content. 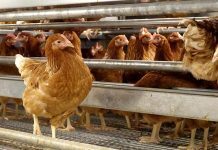 The findings from this study reconfirm the significant role that insoluble and soluble NSP play in dictating feed conversion and digesta and excreta moisture content in broilers fed a variety of diets based on common feed ingredients in Australia. NSP refer to a wide variety of polysaccharide molecules of cell walls with varying degrees of water solubility, size and structure. Their physiological functions are defined by whether they are water soluble or insoluble. The amount of soluble and insoluble NSP varies greatly among different ingredients; for example, corn and sorghum contain very low levels of NSP but wheat, rye and triticale contain high amounts of both soluble and insoluble NSP. The structure and physiochemical characteristics of the NSP also differ widely among ingredients and even within the same ingredient. The prevalence of soluble and insoluble NSP must be measured to accurately determine the effects of fibre on nutrient and energy digestibility; physiological properties of fibre cannot be predicted from the monomeric composition of the constituents. It is important to consider both soluble and insoluble NSP as their impacts on digestion differ substantially. Insoluble NSP act as nutrient diluents and a physical barrier to enzymes, such as amylase and protease, thereby reducing efficient digestion of nutrients within the cell wall matrix of grains. Soluble NSP increase digesta viscosity, thereby affecting nutrient digestion and absorption and reducing digesta transit time, and display anti-nutritive properties resulting in reduced ileal digestibility of starch, protein and lipid. Moderate levels of NSP are however advantageous, in that insoluble NSP stimulates the gizzard, improving starch digestibility and increasing digesta passage rate, ensuring fermentation occurs in the large intestine and caeca as opposed to earlier in the gastrointestinal tract, and soluble NSP stimulates the growth of beneficial gut microbes. 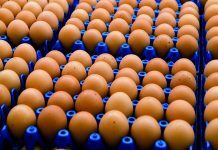 The aim of this study was to investigate the extent of impact that insoluble and soluble NSP have on broiler performance and ileal and excreta moisture contents in diets based on common feed ingredients in Australia. 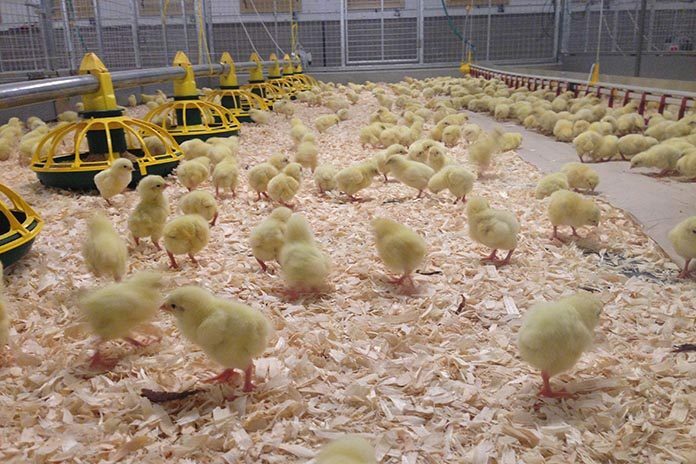 Male day-old Ross 308 chicks (n=720) were housed in 144 cages, 5 birds per cage, from d21-28 post-hatch. The birds were fed a standard corn-soybean meal based starter diet from d0-10 and grower diet from d10-21. They were then allocated to one of 24 dietary treatments from d21-28; composed of varying levels of wheat, corn, soybean-meal, sorghum and canola-meal, without any supplemental enzymes. Diet 1 and 6-9 were corn-soybean meal based diets with varying levels of SBM (ranging from 30-50%). Diet 2-5 and 10-13 were wheat, corn and soybean based diets with varying levels of wheat (ranging from 15-60%, with wheat either replacing the energy bearing component of the diet or replacing corn like-for-like). Diets 14­-17 were corn, canola meal and soybean meal based with varying levels of canola meal (ranging from 15-30%). Diets 18, 20, 21 and 22 were corn, sorghum, wheat and soybean based with varying levels of sorghum (ranging from 2.5-45%). Diet 19 was wheat, sorghum and soybean meal based. Diet 23 was corn, sorghum and soybean meal based and Diet 24 was just wheat-soybean meal based. All diets were formulated to meet Ross 308 nutrient specifications and feed and water was provided ad libitum throughout the trial. Birds and feed per cage were weighed on d21 and d28, to determine body weight gain (BWG), feed intake (FI) and the feed conversion ratio (FCR). On d28, two birds per cage were euthanized by CO2 asphyxiation and ileal digesta samples were collected. Excreta was collected daily from each cage from d25-28. These samples were homogenized and moisture content was determined by oven-drying at 105 °C until constant weight. Performance and, ileal and excreta dry matter (DM) data were analyzed using IBM SPSS v. 23. After Kolomogorov-Smirnov testing to confirm normality, one-way ANOVA was used to test equality of the means and Tukey’s post-hoc tests were conducted to differentiate them. Pearson product-moment correlation coefficient was used to determine the relationship between the dietary soluble and insoluble NSP content and the ratio of soluble: insoluble NSP with performance and ileum and excreta dry matter. Significance was accepted at P<0.05. The insoluble and soluble NSP content of each diet was analyzed, based on the method of Englyst et al. (1994). Briefly, the diet sample was fat extracted and the free oligosaccharides removed. The starch in the resulting residue was then gelatinised and a-amylase and amyloglucosidase added. The resulting supernatant contained the soluble NSP and residue contained the insoluble NSP. For the soluble NSP analysis, released sugars were removed using ethanol and the residue was hydrolyzed with trifluoroacetic acid. For the insoluble NSP analysis, glucose released from the starch digestion was removed and the cellulosic polymers were hydrolyzed with dilute H2SO4. An internal standard was added (allose, 4mg/ml) to each sample. The sugars in all the samples were then reduced and acetylated; NaBH4 was added (excess was decomposed with C2H4O2), followed by 1-methylimidazole, C4H6O3, water and dichloromethane, respectively. The pellet was dried and reconstituted with ethyl acetate and water, and the resulting supernatant was analyzed by gas chromatography. 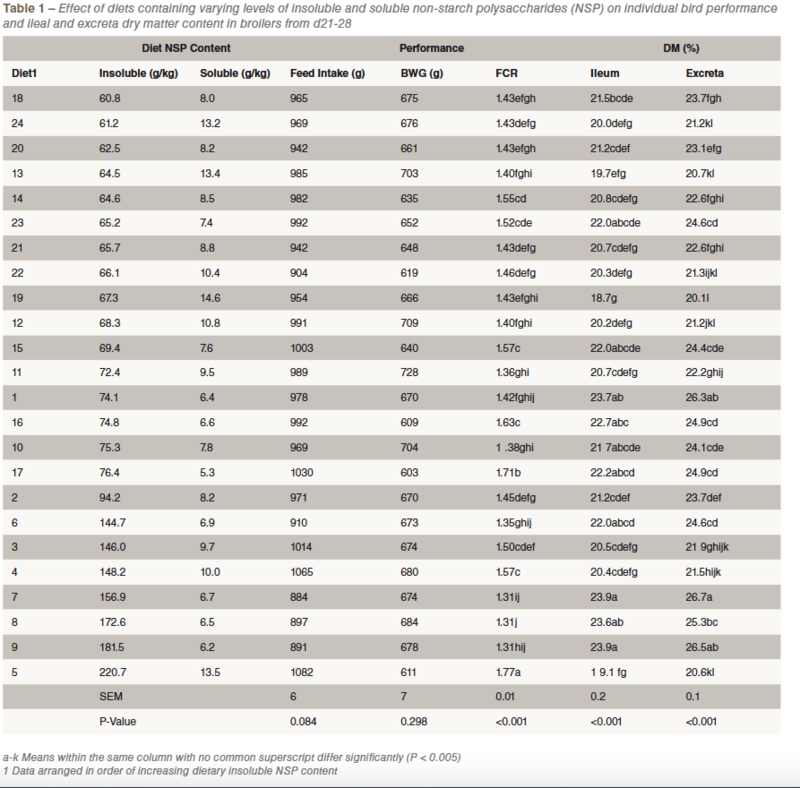 Table 1 illustrates that dietary insoluble and soluble NSP content has a significant impact on feed conversion and ileal and excreta moisture contents in broilers. Birds fed the diet with the highest insoluble NSP level, coupled with a high soluble NSP level, presented the highest FCR and numerically highest feed intake. Birds fed this diet also had high digesta and excreta moisture content. Birds fed the diet with the lowest soluble NSP level had the second highest feed conversion ratio and the numerically lowest BWG. The optimum diets in this study contained a combination of soluble NSP ranging from approximately 6.24-6.72 g/kg and insoluble NSP ranging from approximately 176-182g/kg, based on observed low FCR (1.31) and high digesta and excreta DM content. There was no significant relationship between the dietary insoluble and soluble NSP content and the performance parameters measured (P>0.05), but there were weak relationships between the soluble:insoluble NSP ratio and feed intake and FCR (r =-0.162, P =0.043 and r =-0.173, P=0.038). There were strong relationships observed between soluble NSP and, ileal and excreta DM content (r=0.822, P<0.001 and r=0.872, P<0.001, respectively) and between the ratio of soluble:insoluble NSP, ileal and excreta DM content (r=0.608, P<0.001 and r=0.602, P<0.001, respectively). The novelty of this study was that the diets fed did not contain very high or extreme levels of NSP, they were common diets and the birds performed to the breed standard, yet significant NSP induced effects were still observed. As predicted, feed conversion was reduced with very high dietary total NSP content and ileal and excreta DM content were lowest in the diets containing high levels of soluble NSP. The extreme differences observed between feeding 181.5 g/kg and 220.7 g/kg insoluble NSP highlight that feeding diets with an insoluble NSP level higher than approximately 180 g/kg has a significant anti­nutritional impact and resulting detrimental impact on performance. The positive effects on FCR observed with a reasonably high level of insoluble NSP likely reflects the ability of insoluble NSP to stimulate the gizzard, improving digestibility by heightening retention time and increasing hydrochloric acid secretion. These improvements at the beginning of the tract, coupled with presence of the poorly fermentable fraction, possibly resulted in a higher proportion of beneficial micro-organisms in the tract, promoting integrity of the intestinal lining and heighted nutrient digestion. Further investigation is warranted to determine the precise optimum, excessive or insufficient level of dietary NSP. The regression analysis illustrates that soluble NSP strongly influences intestinal water absorption, as soluble NSP has high water holding capacity and the presence of unabsorbed sugars in the tract causes osmosis of water into the gut lumen, resulting in heightened digesta and excreta and resulting poor litter quality. The results from this study emphasize the significance of the ratio between insoluble and soluble NSP in a diet; observing their individual effects is largely inconclusive. Diet NSP content alone does not dictate feed efficiency, a number of factors and combination of dietary influences also contribute towards the differences observed between the diets, but this study highlights the need for enhanced understanding of the form and chemical composition of different NSPs and the impact of NSP in different ingredient combinations. This is required in order to achieve the greatest benefits when using NSP-degrading enzymes to regain lost performance and improve litter quality.